The sweet smell of Spring …almost. Today sure was a nice prelude to spring! Is that….is that…an OPEN WINDOW?? #jealous !!! Enjoy that nice warm sun on your face, Rosie! We're more than ready but every time we think we smell it the darn cold comes back. Yo, Groundhog??? 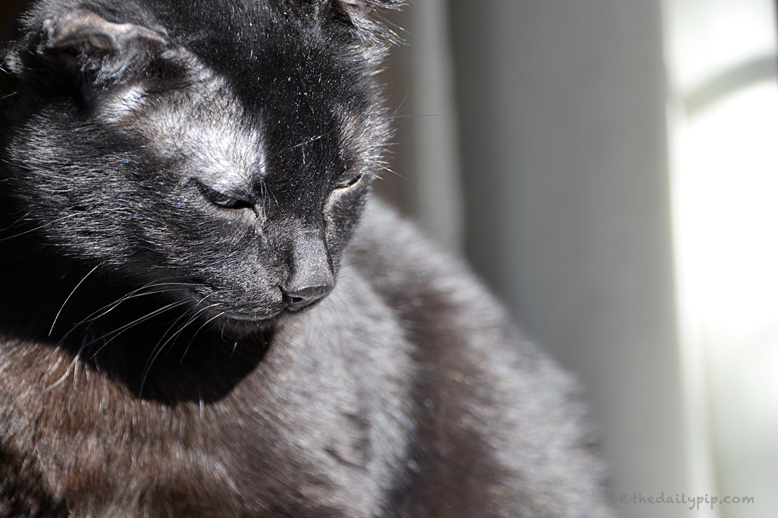 Oh, that sunshine on your fur and the fresh air look like you're having a wonderful day! Spring will be here before we know it. Oh, please stop talking about spring! We wanted to go out today, but we had so much snow that the human had difficulties to open our door. She spent one hour shoveling, and is now too tired to play with us. Bah. This is not fair! 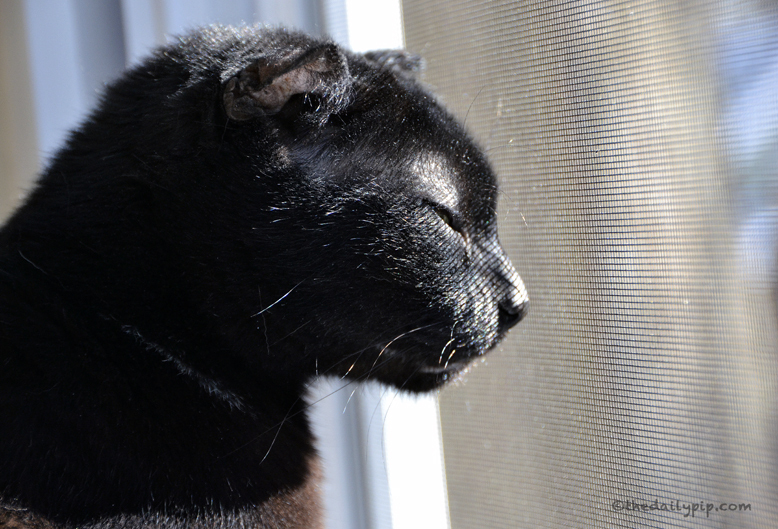 Rosie, you are a most beautiful house panther!We can almost smell that spring air, too! Hi beautiful Rosie! We had a very spring-like day yesterday too. You look quite content in that sunshine! Isn't this weather just lovely, Rosie? And, you look especially gorgeous in the sun! I love spring and am happy it will soon arrive. Nice selfies. It is 53 degrees here and I am tempted to give the cats some window whiffies. The sunpuddle is a sure sign it is on its way! We think we hear a purrrrr! Way down here in Texas we are still waiting for winter to come. Glad you got a sun puddle and a warm day. Looks like you are enjoying the sun. I am waiting for spring then maybe the rain will go away. Rosie looks Beautiful. Our Harvey has ears like you. Enjoy your spring sun. My chi boys always seem to manage to find the sun puddles too. Our weather is slowly warming up and we're all loving it. We had nice weather here, too, Rosie. Spring is coming. Yay! We are getting punished. Don't think we will see spring until June! We are still waiting for it!